In today’s constantly evolving business environment, change seems to be the only constant. 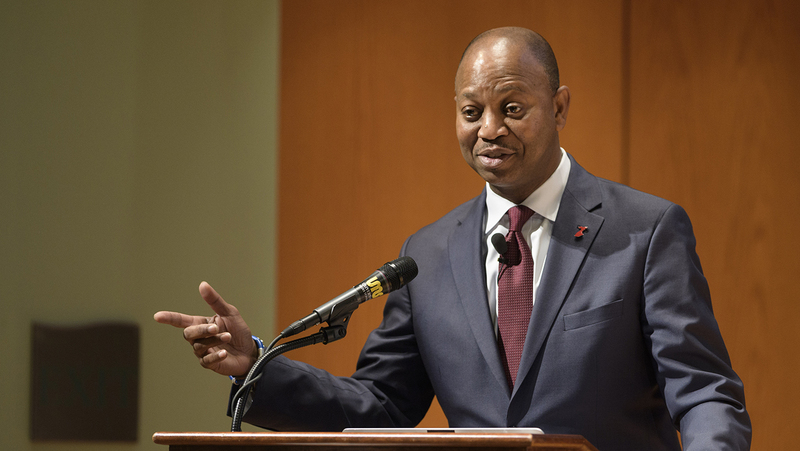 This was the theme of the second annual conference of the MBA Student Association (MBASA) of the Alfred Lerner College of Business and Economics, held on Friday, Feb. 23 at Gore Recital Hall. Conference attendees heard from leaders in a broad range of industries as they shared their stories about managing change, from recognizing opportunities to implementing strategies that embrace transformation. The conference opened with remarks from the Conference Committee and Lerner College Senior Associate Dean Jack Baroudi. A panel discussion followed, moderated by Kurt Norder, associate professor of management. Senior professionals from diverse industries explained how their organizations identify critical trends, plan and strategize for change, and how these changes impact the future of their respective industries. N. Scott Phillips, mid-Atlantic director for MBDA Advanced Manufacturing Center – Baltimore (pictured below), delivered the conference’s keynote address, entitled “Personal Perspective: Preparing for Change.” The address encouraged attendees to keep open minds in today’s ever-changing business environment. “Staying open to advice means you gain opportunities that others see that you might not,” Phillips said. After a networking lunch with alumni and regional employers, participants attended several sessions on a range of topical business issues, including a workshop on key economic trends led by Jeffrey Tobacman, associate professor of economics, and a panel discussion on women in business moderated by Wendy Smith, associate professor of management. MBASA also presented a session on presentation and case competition skills delivered by Brooks and Sarah Meadows, two-time winners of the Carol Ammon Case Competition. The student-led conference drew 128 attendees, including 14 Lerner alumni and a handful of undergraduate students. 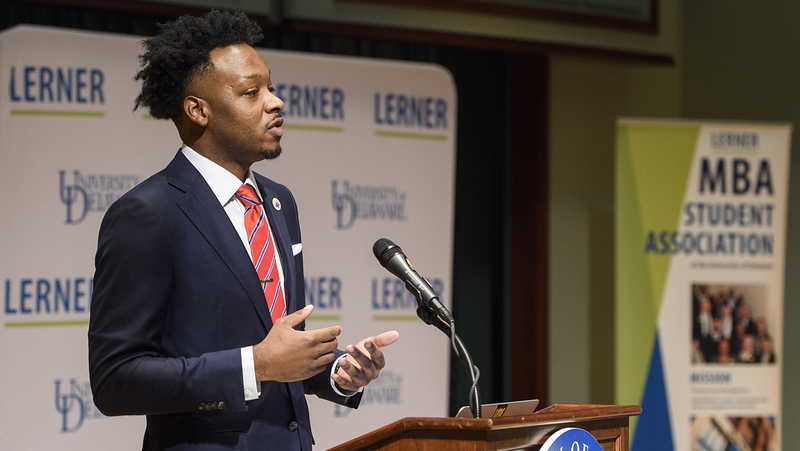 More information on all of Lerner’s MBA and master’s programs will be available at the Lerner College’s next open house on Thursday, April 5 from 6:00 to 8:00 p.m. at the Trabant Center. Register for the April open house here.